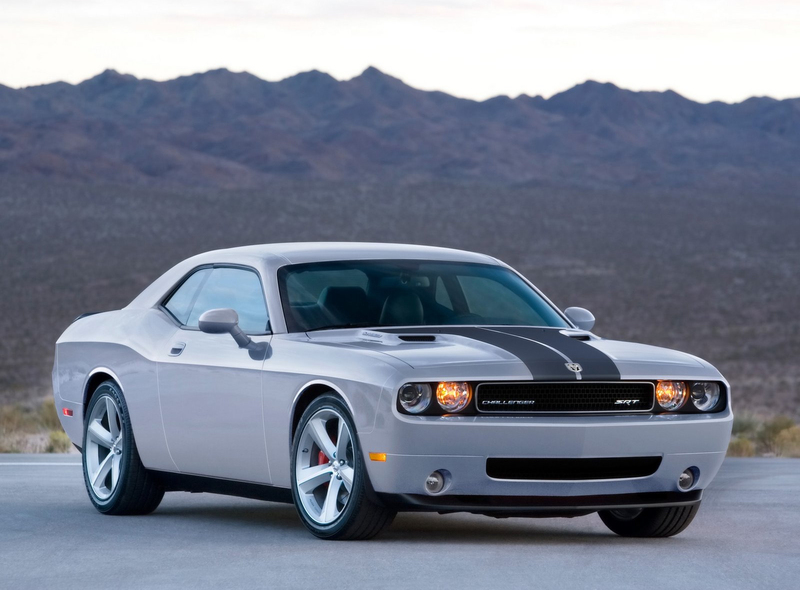 For those that love the old muscle cars, one car that has made a comeback in a big way is the Dodge Challenger SRT8 Coupe for 2009. Dodge, is throwing caution to the wind and has pulled all the stops to create this once again classic muscle car. The new 2009 Dodge Challenger SRT8 will offer some of the best horsepower available in its class and an engine that brings a smile to many tuner’s faces. To start things off the Dodge SRT8 includes a monster 6.1 liter V8 Hemi engine that produces an amazing 425 horsepower and an amazing 420 feet of torque at 4800 rpm. This rear wheel drive comes with huge tires, automatic transmission (5 speed with overdrive), 4 wheel antilock performance brakes, traction control, electronic stability control, a stabilizer bar and plenty of bells and whistles to make any tuner enthusiast happy. For those hoping for a manual transmission there is talk of adding one either later this year or next year. Some of the stats are amazing for this car. First off expect to accelerate from 0 to 60 in less than 5 seconds (4.9 seconds to be exact). And you can expect to accelerate from 0 to 100 in under 17 seconds. 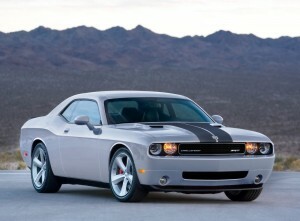 With the Brembo high performance brakes, the Dodge Challenger SRT8 will go from 60 to 0 in 110 feet. For those wondering how much this type of performance costs in a great looking muscle car for the 21st century- believe it or not, fully equipped less than 40K US. The 2009 Dodge Challenger SRT8 and its less powerful models Dodge Challenger SE and R/T look to be a smash success this coming year. Besides the interior looking great, the exterior is definitely a looker and will definitely bring back the classic days of muscle cars. For those looking for a serious vehicle that takes no prisoners, the Dodge Challenger SRT8 is one of the most exciting vehicles to come out in a while.